7 Things That Productive People Do In The First 10 Minutes At Work - Something New Everyday! Ah, a new day at the office. But will it be a good one, full of productivity? Even though offices can be unpredictable places, there are things that productive people do differently to squeeze the most out of their work day, every day. Productive people know that the first 10 minutes of their day in the office can make or break the amount of work they can get done. Productive people make sure to follow through with a few actions before they get down to business. So if you're interested in super charging your productivity, do these 7 things in the first 10 minutes at work. A study on gratitude done at the University of Miami found that people who kept a daily journal of gratitude were happier, more productive and much happier. Sheryl Towers, professional development coach, says in her bookSeeds of Success: "The results of the study indicated that daily gratitude exercises resulted in higher reported levels of alertness, enthusiasm, determination, optimism and energy. Additionally, the gratitude group experienced less depression and stress, was more likely to help others, exercised more regularly and made more progress toward personal goals. According to the findings, people who feel grateful are also more likely to feel loved." Nothing is worse than clutter in driving down productivity. If you are scrambling every time you need a pen, stapler, notepad or important document, that's wasted time you'll never get back. Take a few moments during the first 10 minutes of your day to make sure that everything on your desk is straightened out and exactly where you expect it to be. Start the day off right with a few friendly 'hellos' to your office comrades. A big part of productivity is knowing when to ask questions, and to whom. Trying to figure everything out on your own sets up roadblocks in your road to getting your goals accomplished. Therefore, make sure that you create and maintain positive working relationships with your coworkers. Productive people recognize how crucial this is, and so spend a few moments in the first 10 minutes of every day to round the office and say 'good morning'. Productive people take the time to write the top three things which would make their day successful if completed. These help keep you focused on the prize when your day might get detracted by busy office life. Once you've got your priorities ironed out, it is crucial that you take the time to make sure that your the tasks you've set for yourself are aligned with your goals and priorities. 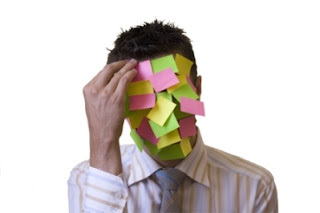 Having a careful to-do list organizes your day and helps you understand the specific tasks you need to plan around. Productive people are upbeat, positive and optimistic. They don't spend time mired in negativity – they spend time taking action. Matthew D. Della Porta, author of The How of Happiness, writes "Simply put, daily affirmations train your brain to think positively; they are uplifting truths you want to believe and heartwarming convictions about yourself or the world as a whole. They are one of the most effective ways to proactively and permanently change the way you think." Super charge your day with some words of wisdom from success Productive People before you. Before jumping into work, productive people seek inspiration from their forefathers and mothers by reading an inspirational quote. The first 10 minutes of the day can truly set the level of your productivity of the rest of the day. Follow in the footsteps of the more productive among us to make sure that you set yourself up for productivity success everyday.